Being able to embark on one admirable and brave journey that reinforces international security is often only a dream that many people only wish to achieve. But then there are the rare heroes that not only accomplish one courageous feat, but two daring triumphs that protect the world. That’s certainly the case for the seemingly everyman, but ultimately bold, protagonist in the new sci-fi movie, ‘The Man Who Killed Hitler and Then The Bigfoot.’ RLJE Films released the adventure drama, which marks the feature film writing and directorial debuts of producer Robert D. Krzykowski, today in theaters, as well as On Digital and On Demand. ‘The Man Who Killed Hitler and Then The Bigfoot’ follows the epic adventures of an American legend that no one has ever heard of before. 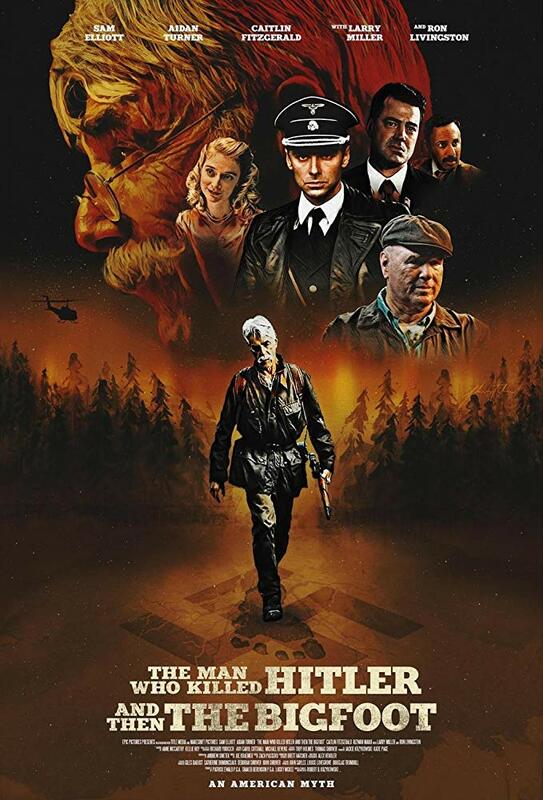 Since World War II, Calvin Barr (Sam Elliott in the present day, and Aidan Turner in flashbacks from the war) has lived with the secret that he was responsible for the assassination of Adolf Hitler. Now, decades later, in 1987, the US government has called on him again for a new top-secret mission. Bigfoot has been living deep in the Canadian wilderness and is carrying a deadly plague that is now threatening to spread to the general population. Relying on the same skills that he honed during the war, Calvin must set out to save the free world yet again. Krzykowski generously took the time recently to talk about writing and directing ‘The Man Who Killed Hitler and Then The Bigfoot’ during an exclusive phone interview. Among other things, the filmmaker discussed that while Calvin is capable and strong of defeating the drama’s title antagonists on his own, in order to save and protect mankind, he also has some frailties, including fear, loss and regret, that make him relatable to audiences. The writer-director also praised Elliott and Turner’s natural ability to capture their character’s accomplishments and imperfections in the same engaging ways at different points in his life. ShockYa (SY): You wrote the script for the new adventure drama, ‘The Man Who Killed Hitler and Then The Bigfoot.’ What was your inspiration in penning the screenplay for the movie? Why were you drawn to mixing historical fiction with science-fiction in one story? Robert D. Krzykowski (RDK): Well, the script started off as an adventure, but as I was writing it, I experienced some loss in my life, and that very much changed the type of story I was writing. I started thinking of it as a character study, and looking for answers through this character of Calvin Barr, who’s totally capable and strong. But he also has some frailties that the rest of us have. So although there are two monsters who are named in the title of the film, the secret enemy of the film is Calvin’s fear, loss and regret. I think all of those things play us, if we let them. Then there’s also a theme of plagues in the movie, as well. Hitler’s spreading a plague of ideas, and The Bigfoot is spreading a literal plague. SY: In addition to scribing the script, you also made your feature film directorial debut on the drama. What was your overall experience helming the movie as a first-time director? How did writing the screenplay influence your helming duties on the set?